R58ACG1 PARALLEL 2M CABLE REGISTER MARK SENSOR. R58ACG1 W/30 FT PARALLEL 9M CABLE REGISTER MARK SENSOR. R58ACG1Q PARALLEL EURO PIGTAIL REGISTER MARK SENSOR. R58ACG1Q8 PARALLEL INTEGRAL EURO REGISTER MARK SENSOR. R58ACR1 PARALLEL 2M CABLE REGISTER MARK SENSOR. 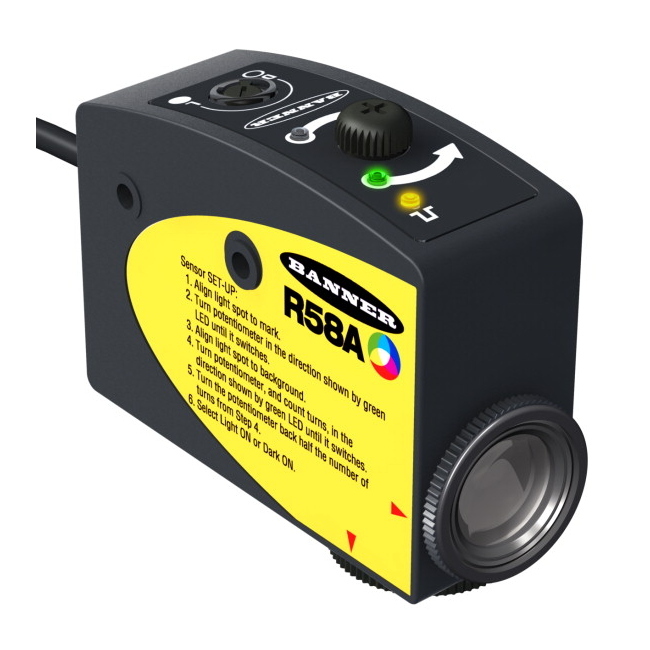 R58ACR1 W/30 FT PARALLEL 9M CABLE REGISTER MARK SENSOR.